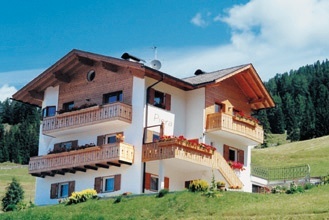 We are at a quite and sun side location of Selva with a nice view to all the mountains around. In the summer it is the best starting point to the Puez/Odles natural park; also who prefer the mountain bike the Val Gardena is a beautiful place. 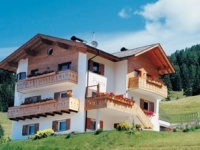 In the winter you reach the ski slopes by car or by skibus in 5 minutes. 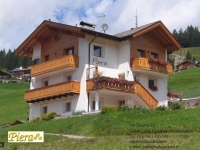 From Selva you take directly into one of the most beautiful and largest ski areas of the world, the famous �Sella Ronda�.